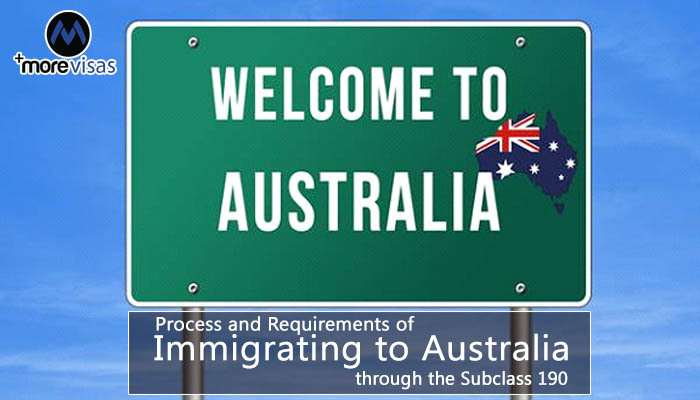 The Subclass 190 visa is a visa of the permanent residence category for skilled workers who have been tested by territory government agency or an Australian state after being nominated by immigration agency within or outside Australian borders. It is known as Skilled Nominated visa where by individuals who wish to reside and offer their professional skills to the Australian enterprises apply for the visa by submitting an expression of interest after which they will be invited to apply through the Skill Select. Even though the procedure of acquiring permanent residence in Australia may seem easy by merely submitting an expression of interest, there is still a criterion of requirements that an interested individual must abide by for him or her to be qualified to apply for this particular visa. To begin with, an interested individual must have specified his or her occupation among the relevant occupation criteria from which the Australian immigration agency have advertised to invite skilled workers into the country. These criteria may include professions like construction, agricultural specialists, sales and marketing, engineering, technicians etc. To check for authenticity of an applicant, he or she must be assessed for the chosen occupation from which he or she has to obtain the selected cut-off points by the immigration agency. Failure to achieve this requirement automatically disqualifies an applicant as it would portray the individual to be submitting false information in order to acquire entry in Australia. Another requirement is that an applicant must be at least 49 years of age. Since the visa concentrates on inviting skilled workers, the immigration agency does not see the need of inviting individuals who are almost at their age of retirement and would not perform as expected by any state in Australia. Communication is a vital factor in any enterprise around the world thus applicants must be competent in English since it is the most commonly used language in the country. Lastly, an interested individual must have been nominated for the skilled worker visa by territory government agency or an Australian state for them to be eligible for the subclass 190 visa. Individuals in Australia who have the nominated skilled worker visa enjoy a number of privileges offered by the government like living in Australia indefinitely, having access to education offered in the country, employment, enrolling in Australian health care services and expenses and finally begin the process of applying for citizenship if one meets the eligibility requirements for the application. My brother want to go Australia for study please help me how’s the process of visa for apply? Thank you morevisas for given me and my wife Australia visa. great team job morevisas. thanks again. Thank You Morevisas for given me canada visa.I’m very happy to receive own visa. my friend got Australia visa from morevisas consultancy at last year and he told me, My experience so far has been satisfying and positive with entire this consultancy. hence I want to go to Australia for work so please help me.